A case for short, simple emails. In today’s business environment we are always connected. In fact, it even seems quite common to send or even receive emails on weekends and holidays. Apparently, there just isn’t enough time during our regular working hours to accomplish these tasks when we are supposed to. Yet, with the speed at which we expect replies to our emails, how many of us have ever stopped to think about how we should be communicating? We’re all busy, and we all have a thousand other things that need to be done. And with so much to do, I’m going to suggest that everyone should start writing shorter, simpler emails. Not sure you agree with me? Well, I’ll back my idea up with some trivial details. According to a 2012 study on social technologies, performed by McKinsey and Company, most employees spend 28% of their work day dealing with just email alone. That’s right; almost 3 hours of everyone’s day reading, sorting, and replying to communication. Certainly, that’s not the norm for all of us, but keep in mind – the study found the average. Some people might even spend more time. Thus, I’d like you to now imagine how you, or that poor individual wading through all of their emails every day, feels when they suddenly receive a 2-page or longer email. I’m guessing your first response wasn’t, “Oh joy!”, was it? Which brings me to a possible solution; shorter and simpler emails. No one needs a rambling beginning, or a long social update in every email. Instead, get to the point. (It is, after all, the reason you are writing the email.) Furthermore, don’t worry about getting all technical, and don’t you use all sorts of business jargon. Communication is often best when you use plain language that is to the point, brief, and clear. The trick though, is in not being too brief; as communication without substance is just as worthless as saying too much about nothing. 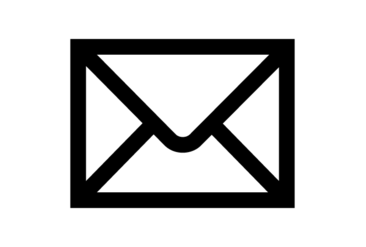 The fact is, most emails need to answer only a few questions for the reader in order for them to assist you. They need to know; who you are, what do you want, why/how they should help you, and most importantly, the action you require of them. An email should not make it difficult for them to act upon your request by burdening them with excessive detail. To paraphrase an appropriate idiom as an example, ‘if I ask someone for the time, I don’t ask them to build me a clock first’. Give your reader a chance to take action and do the task that is asked of them. It’s fair to say that if they need more information, they will undoubtedly contact you with their own questions. I hear your concerns though; Won’t this make my communication seem simple? How can I ask several things at once? Obviously there’s always a correct balance to everything. Yet giving someone a chance to accomplish a task from their inbox, and therefore get back to us, seems a much better idea than filling it up with emails we need to “save” for when we have more time to deal with them. Perhaps shorter and simpler might mean just one point, or one question, per email. In the end, it’s about getting an answer, and asking your contact person to do something for you. And in today’s business world, where many of us need weekends and evenings to catch up on our emails, wouldn’t it be nice if we could write less, do more when we are supposed to, and ultimately spend more time with our family and friends? On the surface, there is no real connection between Tough Mudder and language training – perhaps the only link is that the founder of the company is British, but that seems to be about where it ends. However, for team building and the chance to talk business over a weekend, Rob and I have participated in Tough Mudder races for the last two years here in Germany, and we have made some interesting observations – at least interesting to us. 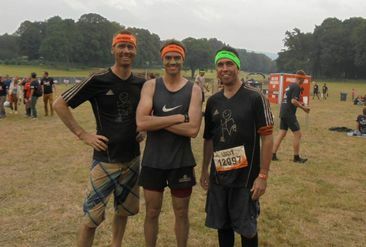 Another observation is how much English you hear before, during and after a Tough Mudder. As an event that began in the US, and now also running in many Commonwealth countries, it is reasonably well known by expatriates here in Germany. This was quite obvious last year, with many of the participants having American, English or Irish accents. This year, there was still the variety of international accents, but also many more native Germans, showing just how popular crawling through mud and getting electric shocks has become. But most interesting to me is the standard of English spoken by these young Germans. While many “older” Germans are often ashamed of what they call their “basic” English knowledge, those on Tough Mudder seem highly fluent and happy to talk, even in the middle of an 18 kilometer obstacle course. Perhaps this is where companies should be looking to recruit their “high potentials”, after all, those competing are driven, highly motivated and seeking a challenge and seem to have a pretty good level of English!